Bistro Henry serves Thanksgiving Day Turkey Dinners to go. Click Photo To Enlarge View. Spend Thanksgiving Day in Vermont and enjoy a Thanksgiving Day feast at a great Vermont country inns, restaurant or resort. 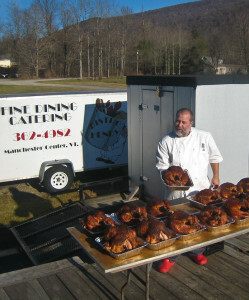 Vermont Chef Henry Bronson at Bistro Henry will even prepare an entire Thanksgiving Day meal to go! The choice are fantastic and the time of year is always a bit quieter – it’s a great time to relax and enjoy a Vermont Thanksgiving Weekend getaway. Vermont Thanksgiving Day weekend traditions include – pumpkin pies, high school and college football games, Holiday Craft Shows, local shopping and delectable roasted turkey dinners. 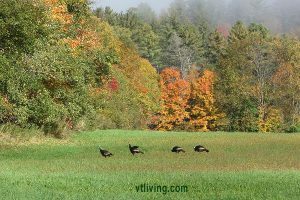 Share your VT Thanksgiving Day comments. Join us, add your business. Spend Thanksgiving Day in Vermont. Special offers and Thanksgiving Packages. Many of our suggested Vermont Restaurants are serving Thanksgiving Day Dinner – some however are closed for Thanksgiving Day. Please visit all of our suggest Vermont Restaurants below, call them direct to inquire about last-minute Thanksgiving Day Dinner Specials or updates. As always, thank you for mentioning “I found you online in Vermont Living”. Spend Thanksgiving Day overlooking beautiful Lake Willoughby in the Northeast Kingdom. The Willoughvale Inn serves an amazing Thanksgiving Day feast. Contact the inn for details. Check with the Vermont innkeepers below and ask about Thanksgiving Day Dinner Specials. 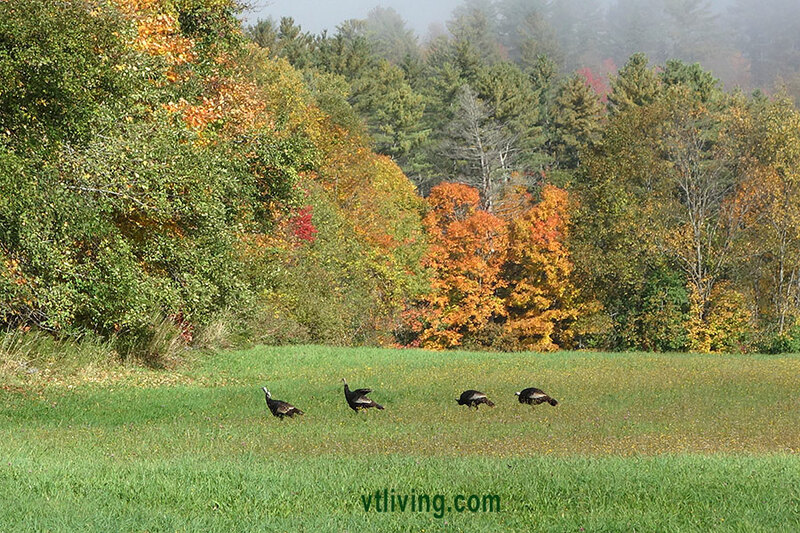 Happy Thanksgiving – from Vermont Living Magazine.